Movement…part of what makes your life complete. 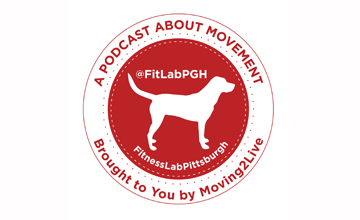 Each week our podcast FitLabPGH brings you a new interview on Sunday and MWF movement tips and lifestyle hacks. This week SAID principle, avoiding hypothermia and single track suggestions…move more often in a variety of ways!! Richard A. Walters (in his own words): Masters in Education Specializing in Mental Health; Bachelor of Arts Specializing in Psychology; ACE Certified Personal Trainer, Since 1998; ACE Certified Orthopedic Exercise Specialist; ACE Certified Fitness Nutrition Specialist; Owner of http://www.getfitwithrich.com/ Personal Training Services for Men, Since 1998; Author of Stroke Survivor Success Story and 16 Minute Body Sculpting Kit. Check out the FitLabPGH Podcast episodes featuring Menachem Brodie, released 10/8/17 and 12/17/17. Movement is part of what makes your life complete. 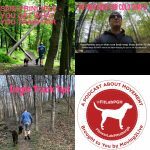 Each week our podcast FitLabPGH brings you a new interview on Sunday and MWF movement tips and lifestyle hacks. 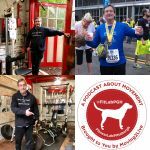 This week slow and steady wins the lifetime movement race, a reminder to watch for slippery leaves so on an occasional Friday you can experience some fartlek fun….all with the idea that movement is part of what makes life complete!! Change the Game (CTG) is a youth development program. In their own words: In everything we do, we move, we give, we grow – it all starts with movement. We are always moving forward focused on becoming change agents in our community and country. Change the Game believes that meaningful connections happen through purpose and intention and its methodology is built on creating a team of young adults and adult coaches who purposely spend sustained time together on weekends and school vacations. Through a yearlong series of interactions that spans greater than 700 hours, the team of high school juniors and seniors and adult coaches comes together in community service, travel, networking and team building activities. Such activities form the foundation upon which to build and reinforce CTG’s core values of commitment, respect and open communication. We spoke with the Founders of Change the Game, Joanna Papada and Michelle Parolini. Check out the FitLabPGH Podcast episode featuring Reed Putlitz, Owner of REED&CO, released 9/30/18. 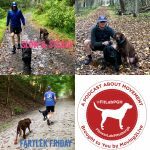 Check out the FitLabPGH Podcast episode featuring John Platt, released 3/4/18. This week: colour your outdoor gear, bowls for the dogs and tasty steel cut oats!! Fred Gohh (in his own words): Electrical engineer, entrepreneur, cyclist. 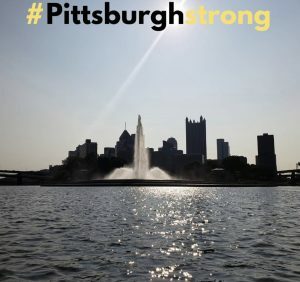 Born in the Philippines, lived in Vancouver, BC and Toronto, Ontario before moving to Pittsburgh. 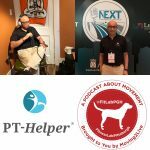 Part of Scalable Networks, Fore Systems, Spinnaker Networks, several other tech companies and founded PT-Helper in 2014. Created PT-Helper after crashing my bicycle. Run Team Citius, junior cycling club to get youths involved in cycling. 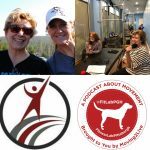 Check out the episodes of our sister podcast Moving2Live featuring Morey Kolber, PT, PhD, released 8/14/18 and 8/29/18. 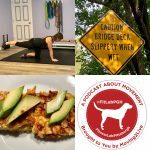 Check out the episodes of our sister podcast Moving2Live featuring Eric Malzone, released 8/7/18 and 8/22/18.